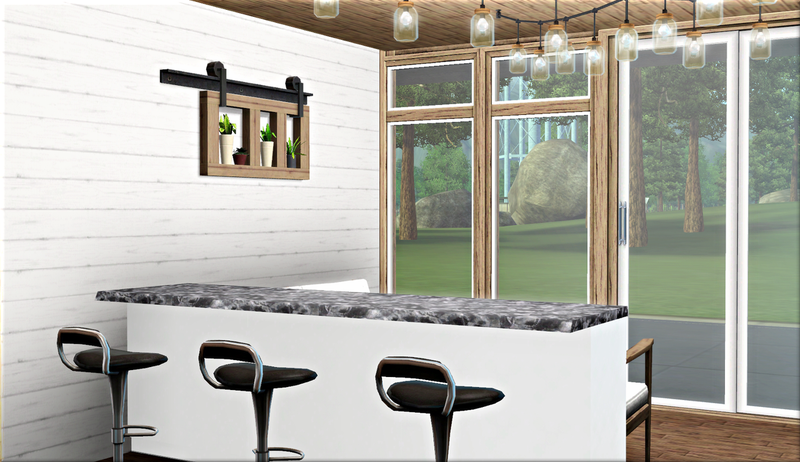 View of the back porch, with another house I’m working on in the background. 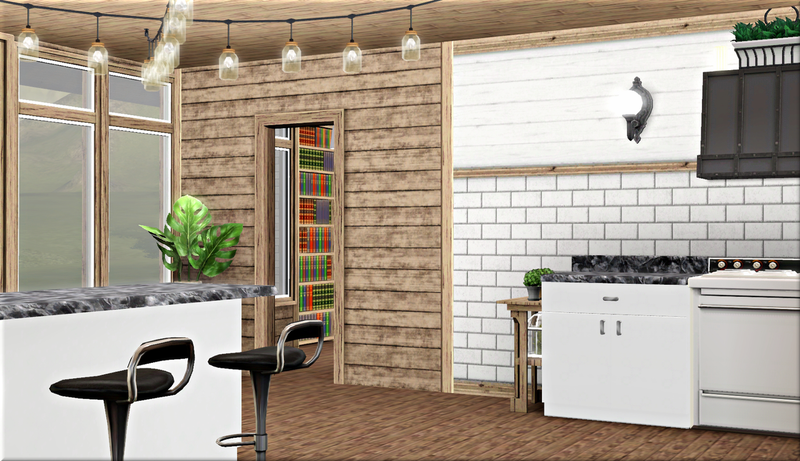 The kitchen is in the same room as the breakfast bar for dining and small sitting area, with a study nook off the side through an archway. 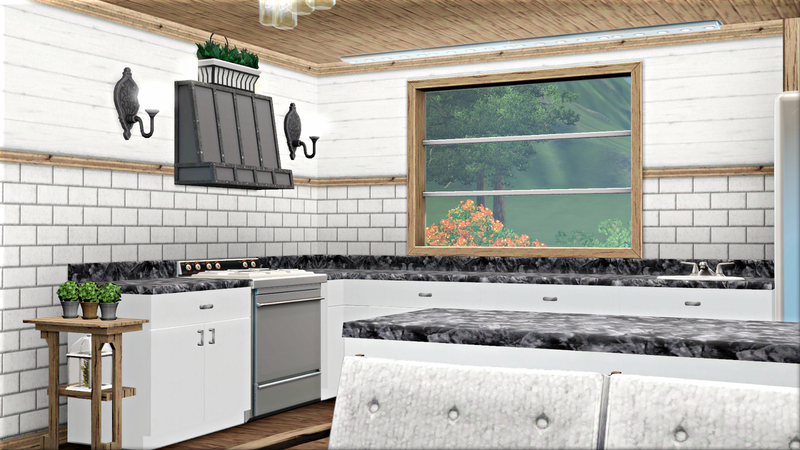 The stove has the ‘improved meal quality’ upgrade and the sink is self-cleaning. 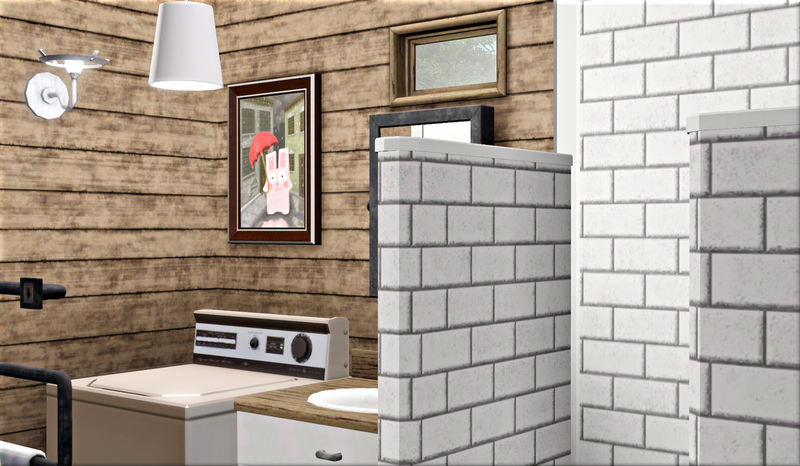 I prefer this one to unbreakable, as it gives my sims a chance to work towards completing the ‘plumber’ challenge. The washing machine is in the bathroom. I didn’t have space or funds for a tumble dryer; the clothes line outside works fine anyway, even in the rain. There are more self-cleaning upgrades in here, and ‘advanced polymer injection’ for the washing machine. 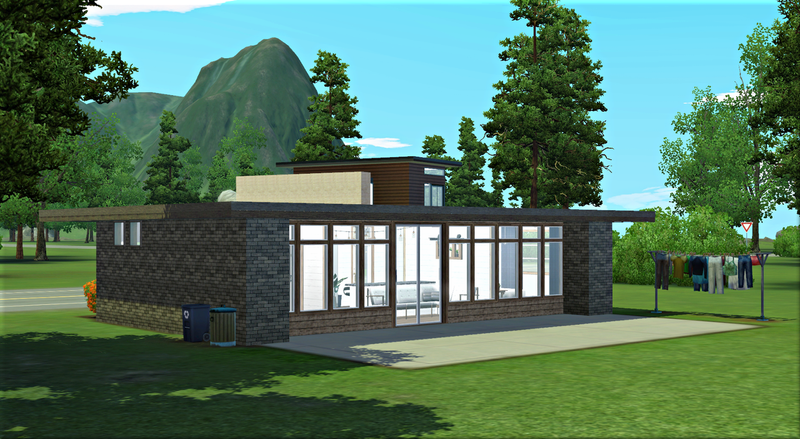 The house is meant for a couple or a single sim, but there is a little guest room that could be converted for a child if necessary. 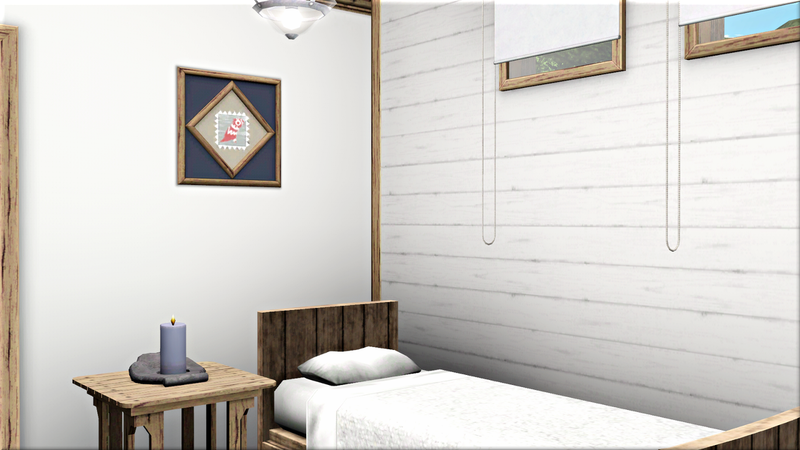 The main bedroom has that nice bed from Showtime that everyone loves, so your sims can get a good night’s sleep even if they’re struggling to make ends meet. 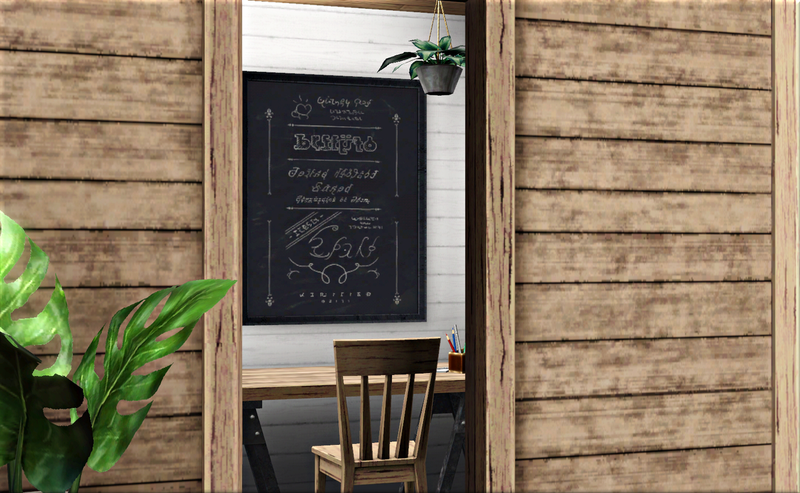 This entry was tagged Starters, The Sims 3. Bookmark the permalink. 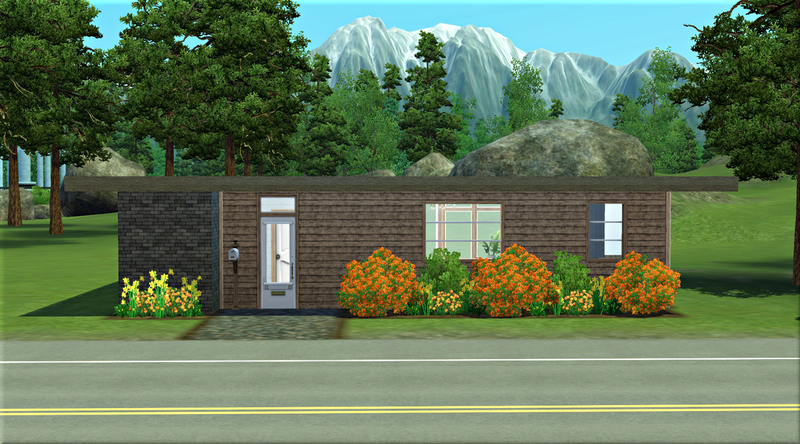 What a stylish little house! I like the house very much! 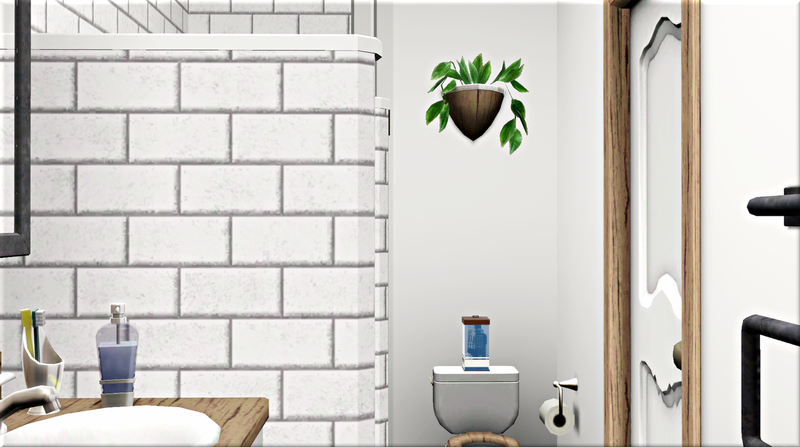 Have we always been able to sit things on a toilet is that from a mod? Also love all the big windows and natural light, meant to include that in the above comment. Thank you! 🙂 And it does indeed feel comfortable to play. 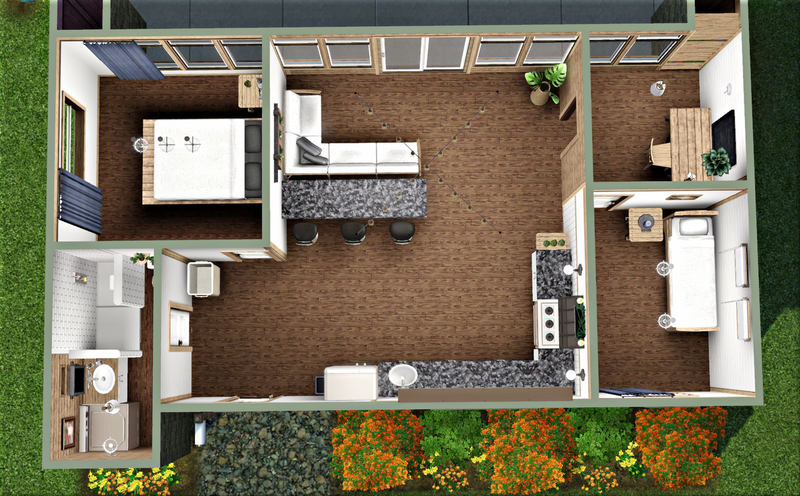 I copied a real floor plan so it’s not higgledy piggledy like some of my layouts haha. No, that’s a mod. I used MOO to place it under where I wanted it and then Nraas Debug Enabler to hoist it up in the air. It will stay where I put it even for people who don’t have the mod installed though. Thank you 🙂 It was a challenge to make them still interesting for under 16.5k. I bet it was not easy fortunately some cc objects costs less than 10 simoleons. You are right to avoid cc honestely .